The Trump administration plans to use resources from the Justice Department civil rights division to investigate and sue universities over affirmative action admissions policies that may put white applicants at a disadvantage, the New York Times reported Tuesday. The DOJ division is looking for lawyers to work on a new project investigating and potentially litigating cases "related to intentional race-based discrimination in college and university admissions," according to an internal document obtained by the Times. It appears the project will be run by political appointees rather than career civil servants, the Times also surmised from its reading of the internal announcement. Both opponents and supporters of the project agreed that it targets admission programs that give racially disadvantaged minorities like black and Latino students preference over others with higher test scores, according to the Times. White House press secretary Sarah Huckabee Sanders condemned the leak of the document Wednesday. "The New York Times article is based entirely on uncorroborated inferences from a leaked internal personnel posting in violation of Department of Justice policy," she said. 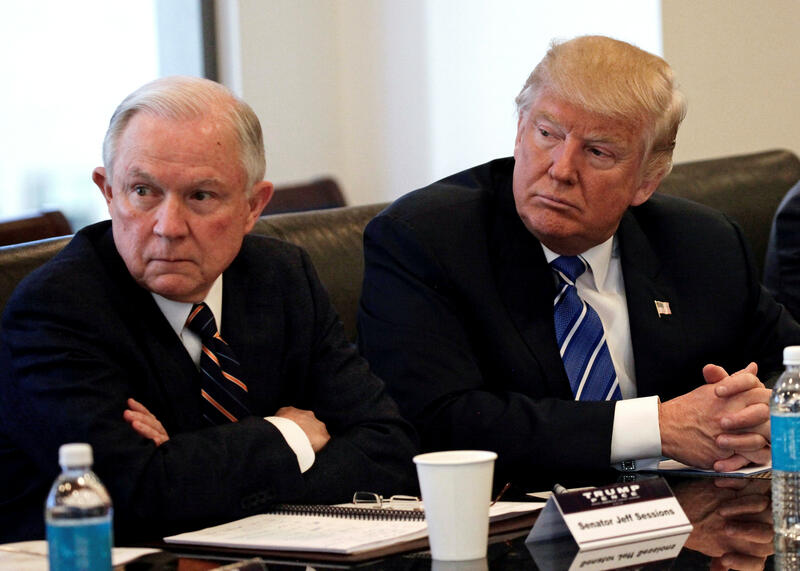 "And while the White House does not confirm or deny the existence of potential investigations, the Department of Justice will always review credible allegations of discrimination on the basis of any race." In 2016, the Supreme Court upheld the right of colleges and universities to use diversity in their admissions criteria. "Considerable deference is owed to a university in defining those intangible characteristics, like student body diversity, that are central to its identity and educational mission," Justice Anthony Kennedy wrote in the court's majority opinion, which also cautioned that universities should continue to scrutinize the fairness of race-conscious admissions programs.